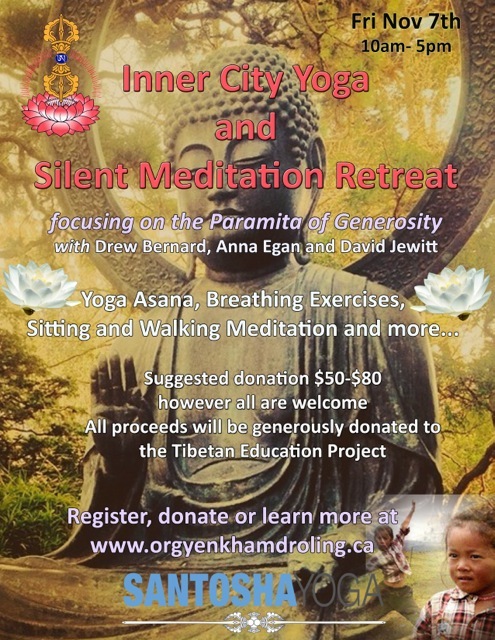 This retreat is a one day intensive, integrating yoga, meditation and breath practices with the Buddha's teachings on the Paramita of Generosity. This retreat is open to all levels of Yoga and Dharma students . Vows of silence will be observed all day except for during the Lunch Break. Yoga asanas, breathing exercises, sitting and walking Meditation will be practiced in rounds while bringing our minds and hearts over and over again to focus on the Wisdom of Generosity. 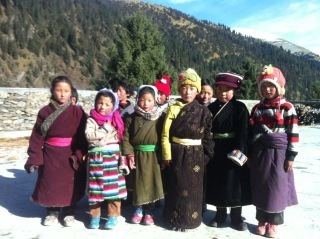 All net proceeds will be donated to the Orgyen Khamdroling Tibetan Education Project which provides tuition and supplies to rural Tibetan Children in the remote nomadic area of Amdo, Tibet. The suggested minimum donation is $50.00. However, all are welcome and we would only ask that registrants donate what they can generously and joyfully afford.